The Karist forces take heavy visual and technological inspiration from the Angels that they alone have managed to contain and manipulate both on and off the battlefield. Minnows are the immature form of Angels, and are captured by Karists in deep space and then trained and raised into mature Angels. As with mature Angels, the core of a minnow is immutable, with void gel extruding from the body and being manipulated by the Angel. 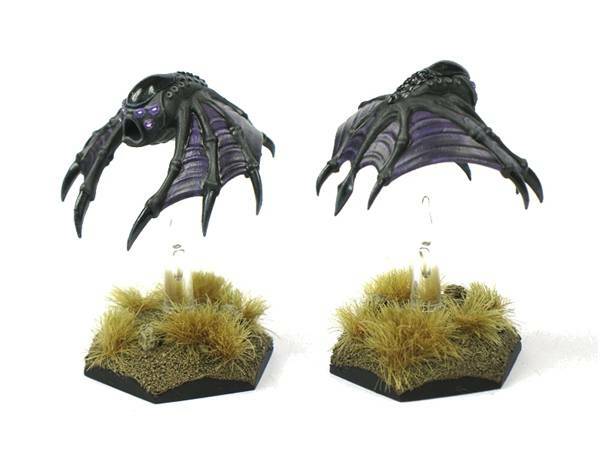 Minnows have very limited control over this void gel, so unlike the mature Angel cannot form claws, talons and similar on demand, but instead have wings and small claws which they can manipulate for speed and mobility, making them useful battlefield tools for the Karists. Angels are great conversion fodder for this reason, as you can take the immutable core as a starting point and then go nuts with greenstuff on the void gel sections. The Angel Minnow sprue is worth a mention for the technical complexity involved in its production. Normally, a plastic sprue is produced with a two part tool, which means detail has to flow to each side of the tool. The Angel Minnow plastic sprue was built with Sliding Core technology, which means instead of having a two or three part body, we were able to make the core of the model a single piece by using a 4 part tool instead of a 2 part tool. This allows the mouth of the minnow to sink back into the body instead of being flush or a separate face part with a nasty join line. As a result of this, the sprue has no frame around the outer edge and the Angel Minnows are probably the easiest models in the entire Maelstrom's Edge range to assemble. Armed with a deadly Cybel Pulse attack, Angel Minnows have both ranged and close quarters capability, and coupled with their speed can quickly outflank and decimate an opposing squad. 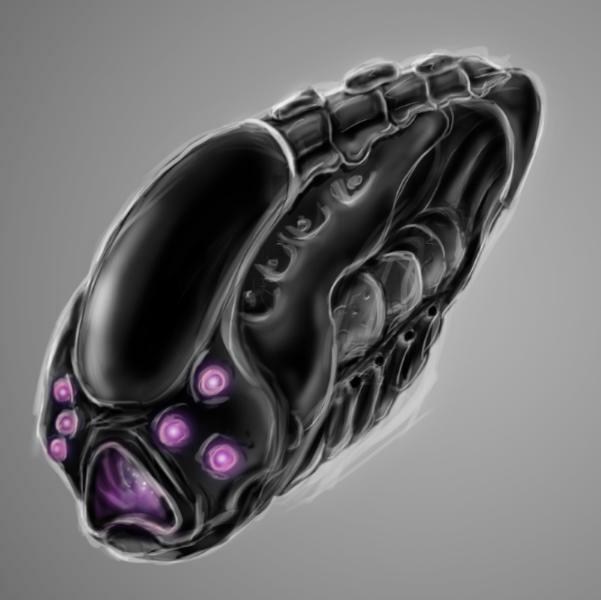 If you'd like to hear more about Angel Minnows, the audiobook A Keeper's Duty follows the Karist capture of larger/end-stage minnows on a decaying space station.